Aquarius will not air its second season on NBC until later this year, but the future already has its future planned out. David Duchovny, who stars on the NBC series, spoke about the future of the NBC drama during an interview with Variety. Just yesterday, TV Series Finale reported that Amanda Brooks had been cast in the role of Sharon Tate. Are you a fan of this NBC drama? Would you like to see five seasons? Tell us what you think. More about: Aquarius, Aquarius: canceled or renewed? 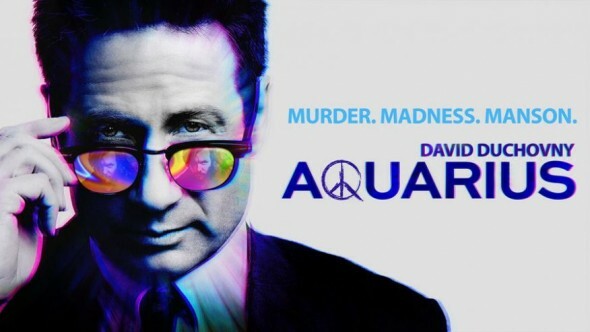 I really hope Aquarius will be renewed for additional seasons. The acting, music, writing and cinamatography are all very well done! Didn’t get to watch the very beginning of #1 but YES want to see AMAP. Keep it going! Gotta get it finished.. Duke is excellent, great character. The storyline sequence has some gliches, but the story just moves right along…… Please let this angelino see the story to the end. Absolutely love it. Can’t get enough. Best TV show on. So well cast, the actors are brilliant together. Definitely best TV show made in the last ten years. Watched this series from the beginning and watched series 2 in 3 days. Brilliant show and great acting. Here’s to 5 seasons. I’m still waiting for the status of a season 3 for the show Aquarius. It’s a very good TV show, I hope NBC picks it up for season three. Everything from the writing, acting and directing is excellent! I absolutely LOVE this show. David Duchovny is one of my fave actors all the way back to X-Files. He is awesome in this role. I am really into this show, all the actors are on their a game. Please bring it back for season 3 and beyond.